Undeniably, good news has been streaming in recently regarding the use of wild animals in circus performances such as the historic announcement by Ringling Brother's to end elephant acts by 2018. Even more impressive is the recent enactment of a nation-wide ban on animal circuses in Mexico, which goes into effect July 8. Mexico has nearly 200 registered circuses and many more unregistered ones with reportedly thousands of animals, so what happens to those now "out-of-work" bears, big cats, and primates who are suddenly finding themselves displaced by the legislative success we are all praising? Justifiably, this question is being asked by circus owners, media, NGOs, and of course, the public. 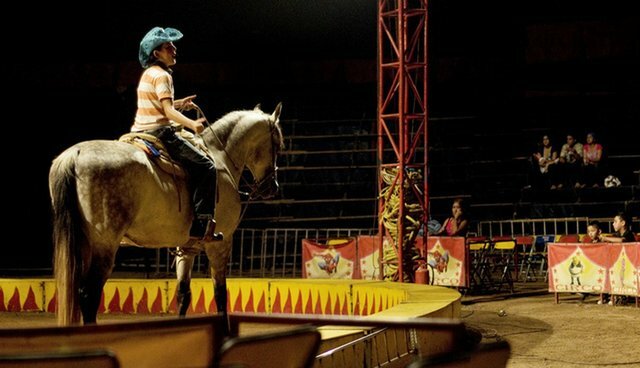 There is no doubt that the ban to prohibit the use of wild animals in circuses is cause for celebration and commendation for the Mexican public and government; however, it does highlight the vital need to incorporate solutions for animals who will be impacted by such a drastic and far-reaching change. With the threat of euthanasia looming, groups like IFAW are being pleaded to rescue the thousands of animals now displaced. Photos of chained elephants and caged tigers fill my inbox, and I'll be honest: I want to rush across the border and relieve them from their dire existence. I thrive on the act of rescue: to witness the ease of suffering firsthand and see the result of my actions contribute to the direct and immediate transformation of an animal's reality for the better. I admit it is my favorite part of my job. But it isn't my whole job. IFAW has always pursued and lobbied strongly for legislative reform that will have effective, lasting impact on animal welfare and conservation around the world. In the US, we have been advocating for federal legislation that will finally ban the private ownership and breeding of big cats, a robust prohibition that would not exempt USDA licensees - a compromising loophole in most state regulations. We recognize that this kind of massive change has the potential to result in an increase of displaced big cats. This is why we do more in addition to the exciting and life-saving rescues. We invest significant time collaborating with sanctuaries across the country devoted to providing life-long care and create or support efforts to improve standards, sustainability, and networking. Legislative change, especially the kind that affects high numbers of animals, must be paired with thorough and humane solutions to the potential impacts on existing animals. In the US, as it should be worldwide, this involves ensuring that there is a strong network of qualified sanctuaries with viable capacity to absorb any displaced animals as a result of changed legislation. 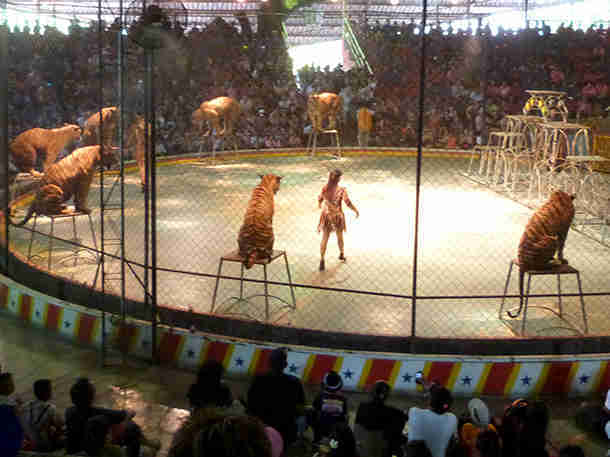 I admire Mexico for the progressive commitment they've made to reduce harmful practices such as animal acts in circuses. I believe that the fewer times a child witnesses a bear balancing on a ball or a tiger jumping through a flaming hoop, the more he or she will grow to understand that a wild animal belongs in the wild and should never be a form of entertainment. However, the battle isn't over in Mexico, and now it is crucial that officials in charge find appropriate and humane means to support the animals currently languishing in defunct and closing circuses. While a few animals may find new homes in the US, this is unfortunately an unrealistic future for the majority of so many animals in need. Preparation and planning prior to this ban could have prevented the current seemingly desperate scenario; however, it's not too late to develop a strategy to cope with the affected animals. We urge the Mexican authorities and others involved to not turn a blind eye to the animals impacted by this ban and seek a humane and appropriate approach to resolve this unintended and potentially tainting consequence.